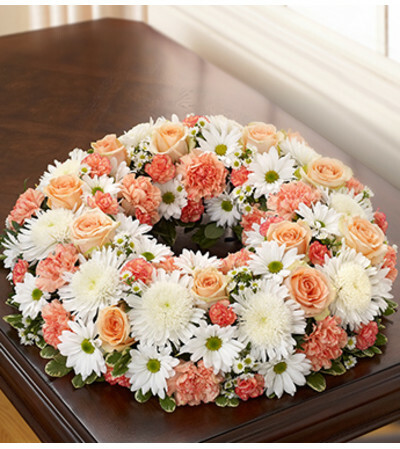 The elegance of our stunning cremation wreath helps express your care and concern with truly original beauty. 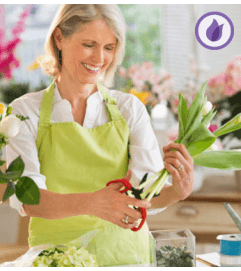 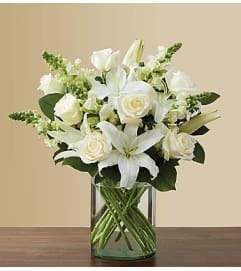 Fresh lilies, roses, carnations, daisy poms and more are crafted by hand in a table wreath arrangement that pairs perfectly with a memorable photograph or cremation urn. 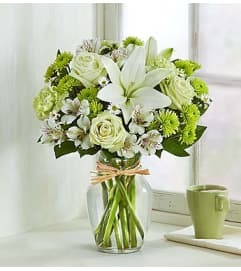 Comforting table wreath arrangement in peach, orange and white includes lilies, roses, carnations, daisy poms, mini carnations and monte casino, accented with variegated pittosporum and leather leaf.